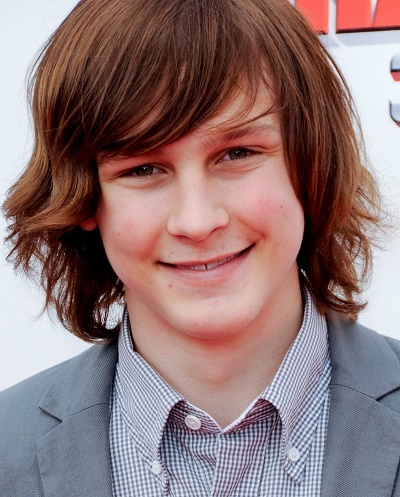 Place of Birth: Englewood, Colorado, U.S.
Logan Miller is an American actor and musician. He has starred in the films Scouts Guide to the Zombie Apocalypse and Escape Room. Logan’s paternal grandfather is Marshall Fields Miller (the son of Edward Richard Miller and Mary Elizabeth Fields). Marshall was born in Kansas. Edward was the son of Murphy Scott Miller and Pauline Mary Brecheisen. Logan’s paternal grandmother is named Sharon Kaye Ingraham. Sharon was born in Alabama. Logan’s maternal grandfather was Billy Gene Hubele (the son of Eugene George Hubele and Alberta A. Keith). Eugene was the son of William E. Hubele and Bertha Thiel. Alberta was the daughter of Chester Arthur Keith and Wilma Edith Harris. Logan’s maternal grandmother is Cholly King (the daughter of John Reid/Roberts King and Christiana Taylor). John was the son of William Edward King and Cora Linwood Maxwell. Christiana was the daughter of William Irving Taylor and Sarah Ellen Hunt.